Our park located in a secluded pocket of northwest Atlanta in the 120-year old neighborhood of Whittier Mill Village.﻿﻿ Listed ﻿﻿on the National Register of Historic Places, the official city park property was once the site of a cotton mill, and the surrounding homes were the residences for the mill workers. Today, the park is a beautiful green space, offering something rarely found in any metropolitan area. Since the park’s dedication in 1998, the community surrounding it has raised more than $200,000 for various improvements. 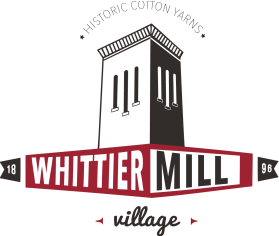 The bulk of the maintenance for this 22-acre City of Atlanta park falls to the residents of Whittier Mill Village. Funds from our annual Parktoberfest festival have helped beautify the 22 acres of green space, restore remaining structures from the turn-of-the century Whittier Textile Mill, build a Bocce court and provide additions to the children’s playground.